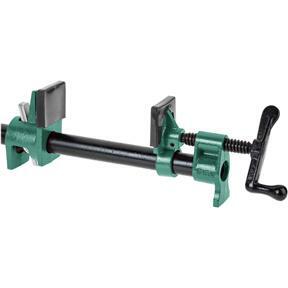 This tried and true pipe clamp is a staple in most shops. 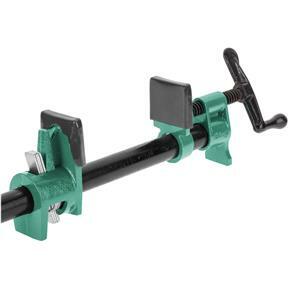 Great for edge gluing multiple pieces of wood at whatever length pipe you need (pipe not included). The bottom foot of the clamp helps keep it stable and provides clearance so you're not fighting to move the glue-up. Cast jaws and rubber type soft pads are included.